Deciding where to go on a first date requires some skill. Sussing out your dates likes and dislikes can be tricky if you've just met them a few nights before. I found myself in this position last week and it's not a position I like to be in. I'm an old fashioned gal at heart and believe that the gentleman should decide what to do on the first date. 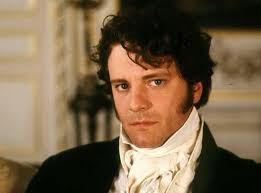 However, my date being a typical Irish man was extremely laidback about the whole affair yet he didn't seem impressed with my suggestion of a few drinks in our local. Seeing as drinks were deemed boring; I realised I was dealing with a rare breed of male - the high maintenance type. 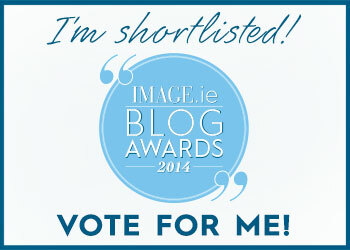 Right, it was time to pull out the big guns! Searching the internet I soon came across The Friday Picture Show which is a new monthly film night that takes place in Denzille Cinema, Dublin 2. As it was Friday the 13th they were showing two classic horror films. I instantly loved this - anything remotely vintage floats my boat and when a smattering of creepiness is thrown in I'm laughing. Well not really, I'll be cautiously checking under my bed later on but you know what I mean! Himself looked up both films and seemed happy enough. 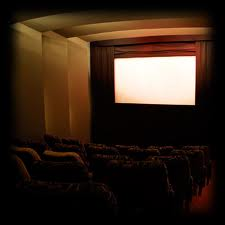 Denzille Cinema is located on 13 Denzille Lane and is Dublin's only private cinema. As I had never been there I thought it might be difficult to find but it's just behind Trinity College. If you know the O' Callaghan Alexander Hotel or The Gingerman pub it is literally just a few steps away. We were welcomed warmly by The Friday Picture Show staff and invited into the cinema's reception area where you can purchase wine or beer for €5. The cinema seats just 30 people and it’s an intimate and very appropriate setting for such an event. I must admit I felt quite arty being there! 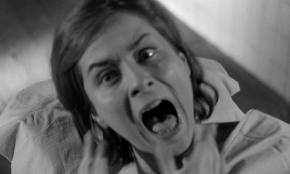 The films screened were Carnival of Souls (1962) and Eyes Without A Face (1959). 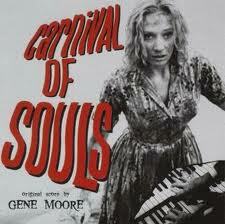 Directed by Herk Harvey Carnival of Souls is considered a cult classic. Candice Hilligoss plays Mary, a young woman who is the sole survivor of a car accident. She leaves town shortly after the accident to take a job as a church organist. En route, she becomes haunted by a mysterious phantom figure (played by Harvey himself) and feels strangely drawn to an abandoned lakeside pavilion. 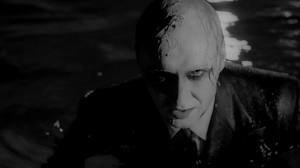 Set to an organ score, Carnival of Souls relies more on atmosphere than special effects to create a mood of unease and foreboding. Eyes Without a Face (Les Yeux Sans Visage) directed by Georges Franju tells the story of the brilliant Dr Genessier, whose beautiful daughter was horrifically maimed in a car accident. Obsessed with trying to restore his daughter’s beauty, Genessier sends his assistant out at night to entrap young women whose faces he needs for his sinister surgery. Although the film passed through the European censors, its release caused huge controversy. 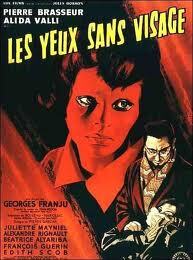 I really enjoyed both films but my favourite was Eyes Without A Face. Despite the macabre scenes, which are tame by today’s standards but still a little shocking, it oozes French glamour. 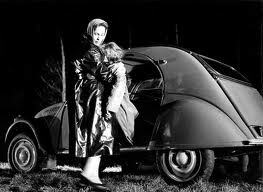 There are some shots of Paris and both films contain gorgeous fashion and retro cars. There was a short interval between films and at this stage both myself and himself were starving. Unfortunately there were no nibbles to be had at the cinema but thankfully there's a lovely off license across the street called Probus Wines. Not only do they stock the usual popcorn and crisps but they have a little deli selling delicious stuffed peppers and olives. If you’re looking for an alternative night out I’d thoroughly recommend The Friday Picture Show. Every month they’ll be showing classics and forgotten favourites spanning a broad range of styles and eras for just €10. And my date? Well, lets just say I'm still single! Hahaha thanks Conor! I'm thrilled you guys posted it. Sounds like a great night out - will definitely check it out soon.